Casino RedKings is part of the group of casino brands that are operated by SkillOnNet and it’s run from Malta, with the authorization of the local Gaming Authority to offer gambling services to players. It’s a casino with a relatively long running history, already a decade old, being established in 2006. It’s owned by Skill On Net Ltd.
They’re offering the player a modern site, with three sections dedicated to Casino, Betting and Poker. They’re separated and we’re looking solely at the Casino section of the site here. The languages which are offered on the site start you off with English, but you can make the switch to Spanish, Finnish, French, Italian, Norwegian, Portuguese, Russian, Swedish or Slovenian. 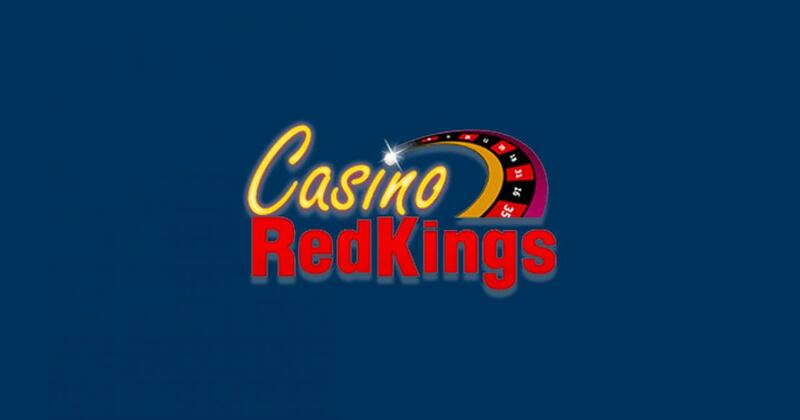 Casino RedKings is restricted in a number of countries, including in United States, Spain, Italy, Ireland, France and Australia. Casino RedKings has the Skill On Net platform at its basis, but when it comes to games it offers a huge collection that includes titles from 32 different developers. The list is way too long to mention fully here, but the biggest names available include the likes of Microgaming, NetEnt, NextGen, Big Time Gaming, Play’n GO, NYX, WMS and Yggdrasil Gaming. The casino mentions that it has over 1,000 slots that you can play, and to that they add hundreds of other types of casino games. Besides the categories which allow you to access sections of the site where new or popular games are listed, there are also dedicated areas for Slots, Jackpots, Live Casino, Card Games, BlackJack, Roulette and Extra Games. In every single area there will be something interesting for you to explore. I’ve counted 27 games for the Jackpots category alone, the one that gives you slot machines with progressives that can go over the $1 million mark. Millionaires Club III, Hall of Gods, Mega Moolah, Mega Fortune, Major Millions, Arabian Nights, these are just the highest paying games that they offer, but many others go in the five or six-figure range. The Live Dealer section is also well covered, with both Evolution Gaming and NetEnt providing titles for it. You get new releases like the innovative Dream Catcher from Evolution, but there are also the usual variants of Blackjack, Roulette or Baccarat for you to try out. If there was one fault to find with the games of Casino RedKings, is that they don’t have that many card games. The sections for blackjack and roulette are mostly populated with live dealer titles also, so they’re not as large as it might seem at first. In terms of security, Casino RedKings is using SSL encryption, at the 128-bit level that is standard for the industry. They mention that their RNG is audited and certified as fair and completely random. They also take great care in making sure that the ongoing gameplay is fair. The main promotion that you’re going to have access to is the one delivered in exchange for an initial deposit. The casino will match and double the amount that you deposit, so you start with $200, instead of $100. You also get 15 free spins at a slot machine of their choosing, a nice way for them to introduce you to the casino’s games section. Daily Picks are the features that you get once you sign-in, and they change on a daily basis obviously. There will be three different promotions each day, and you can pick one of them. You might get a deposit bonus, free spins or something else. Tournaments are available all the time, so each day you can take part in different ones and win cash or free spins. Finally, for the established players that bet at a certain level, there is a VIP Lounge which offers benefits like free bonuses when you move to a different level, cashback, invitations to events and even an account manager for those that go high enough. Customer support is one of the areas where Casino RedKings excels. They have support available 24/7, mostly via email, but with phone and live chat also offered.